An inquiry will be held into what impact subject choice in schools is having on young people. MSPs are to consider whether there has been a narrowing of subject choice in Scotland's schools. 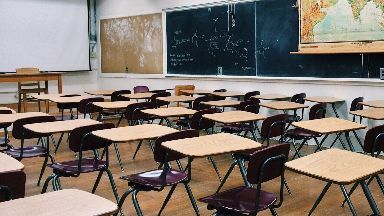 The Education and Skills Committee at the Scottish Parliament said an inquiry will be held into what impact subject choice in schools is having on young people. Members will specifically explore the extent of, and basis for, any narrowing of subject choice. The committee is concerned a reduction in subject choice as pupils enter the senior phase of school (S4-S6) can potentially impact on their qualifications for college, university and the workplace. Teachers, parents and pupils will be included in the inquiry to find out whether a narrowing is taking place and what this means in practice. It will also examine the level of uptake of particular subjects. Committee convener Clare Adamson said: "Subject choice may seem like a small issue but it is one which can have far-reaching consequences. "Ensuring that our young people can achieve to their full potential is something that we all want to see. "For young people to have the perception that their future options may be limited by the subject choices that they can take at school, is something that must be avoided. "We want to hear about the impact of the availability of particular subjects as well as what factors influence subject choice, such as school size, local decision-making and timetabling." Conservative education spokeswoman Liz Smith said: "The decline in subject choice is one of the biggest concerns being raised by parents across Scotland and it's something we've been raising with the SNP for several months now." She claimed pupils from poorer areas are losing out the most. She added: "Nicola Sturgeon has made cutting the attainment gap her key priority, but how can children from poorer backgrounds progress if subjects in key areas aren't on offer?" Labour's education spokesman Iain Gray said: "This is an important step and the committee needs to ensure that difficult questions are asked not just about the unintended consequences of curriculum for excellence but also about the impact of teacher shortages on narrowing subject choice. "With overworked and underpaid teachers leaving the profession, pupils have missed out on studying subjects they could flourish in. "That has not been helped by £1.5bn of local authority cuts since 2011 from the SNP government in Edinburgh, and will not be helped by another £230m of cuts this coming year." A Scottish Government spokeswoman said: "We look forward to engaging with the inquiry. "It will be important to ensure that all the learning opportunities for young people in the senior phase of school are considered. "Young people now have more options to get a much broader range of qualifications - not just at school but also at college and through apprenticeships."